What does your ideal Saturday look like, residents? We love long afternoons spent on the couch in our South Congress apartments, but we understand that everyone needs to get out explore the city every once in a while. With that in mind, we’ve decided to dedicate this week’s blog to some weekend activities. Specifically, we’ll be talking about the amazing museums that Austin has to offer. Below, you’ll find a list of some of the most popular museums in the city. 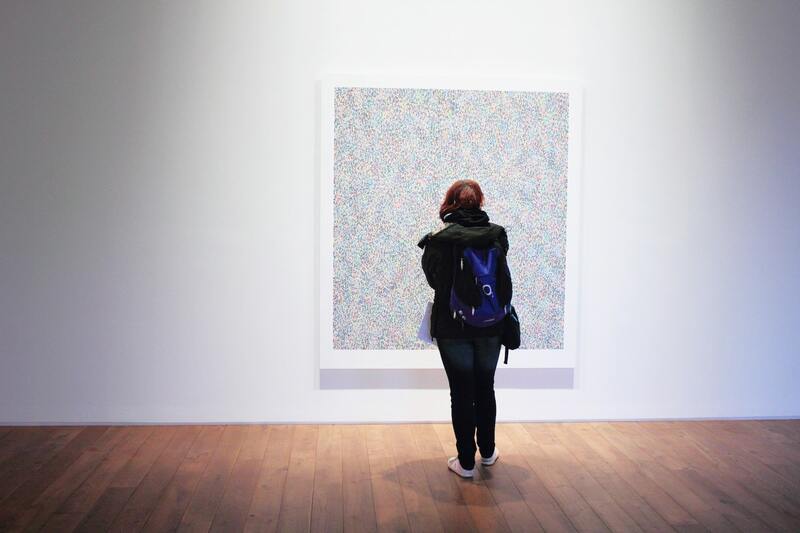 Whether you’re into history or art, we think you’ll be able to find a museum that can keep you entertained for hours. That’s the beauty of living in a culturally-rich town like Austin, TX! Without further delay, let’s dive right into the list of museums below. When you finish reading through this week’s post, please be sure to share the link to this page with your friends. Better yet, go ahead and share this post with your neighbors at The Muse at SoCo — the South Congress apartments Austin residents choose for contemporary comfort and style. Few states have the kind of rich history that Texas does, so we’re glad that the Bullock Texas State History Museum does such a tremendous job of capturing the artifacts and stories that make our state so interesting. The museum even has an IMAX theatre for when you need history in your face on the big screen. This place is constantly being updated with new exhibits, so be sure to check out the calendar using the link above! Located up near the University of Texas, the Blanton Museum of Art is one of the coolest art museums in the state. It’s filled with a mix of contemporary art and centuries-old European masterpieces, meaning every kind of art enthusiast will be able to find something worthwhile. We’re really looking forward to the upcoming Kambui Olujimi exhibition, which will feature works by the multi-disciplinary artist who makes art out of everyday materials. Check this place out, residents! The last museum on our list features both indoor and outdoor exhibitions. This is one of the only outdoor museums in Austin, so be sure to check it out next time the weather decides to cooperate. As the name suggests, this museum is focused on modern art. If you’re into that kind of art, give this place a shot! With that, we’ve reached the end of our list of the best museums near The Muse at SoCo! At this time, we’d like to thank those of you who have been coming back week after week to read all the latest brand new blogs from The Muse at SoCo apartments. You can expect another blog to go live on our website next month, so be sure to check back! While you wait for us to post that next blog, go ahead and check out some of the awesome museums on the list above. If you enjoy your experience at these museums, snap some pics and share them with us on social media! We love when residents make use of our blog posts. We’ll have another blog up on the site soon, we promise! If you learned something from this week’s blog and you’d like to be among the first to read our next one when it’s posted on our website, you can bookmark our blog page to enjoy easy access to all our future posts. In the time between now and then, we encourage you to keep up with everything happening at The Muse by following our apartment community on social media! That’s the fastest, easiest way to keep up with all the upcoming resident events, special giveaways and promotions happening at The Muse — the apartments on South Congress Austin residents can’t get enough of.